These new Calgarians are finding out what it means to be Canadian while learning English and making friends in a southeast community garden. A Forest Lawn community garden is acting like a classroom for a group of new Calgarians. GROW (Gardens by Refugees and Other Newcomers Welcomed) — a project funded by the Calgary Foundation — provides an opportunity for newcomers to learn about gardening in Canada, get to know each other, work together and build a sense of community in their new city. "Growing vegetables seems to be like the common language," said Cesar Suva with the Calgary Immigrant Educational Society (CIES). They call themselves the Students' Gardening Committee and Ahmad Al Hussein said the program has helped him adapt to life in Calgary. "Before I come to this school, I can't talk any word English. And now I talk. Many people here now help and see many friends," said Al Hussein. This year's garden started inside back in early May, and moved to the outside when temperatures were perfect for gardening. "When it's still cold outside, we plant seeds in the classrooms and when it warms up a little bit we have a big day where everybody goes out and replants a lot of those sprouts," said Suva. 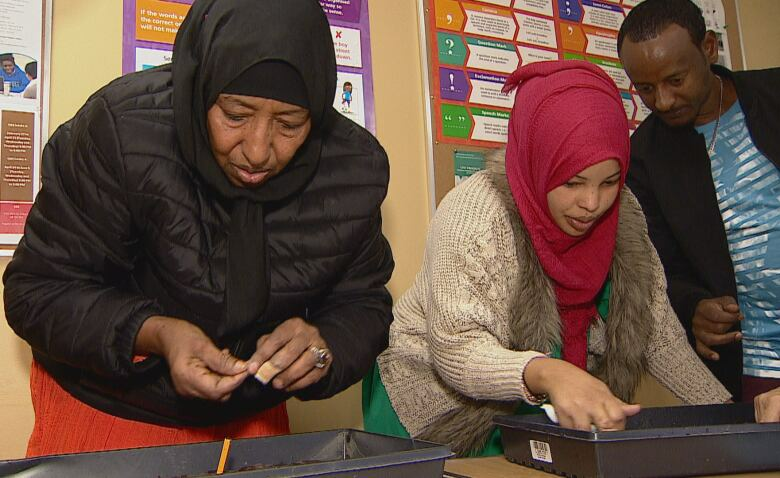 The program allows them to find out how to grow a garden in Canada, which can be a challenge to newcomers adjusting to Calgary's climate. "The weather different, not easy. In Syria easy because sunny. Here the weather, this year cold, too much," said Haroun Al-Juhmani. It also offers the opportunity to make life-long friends. "One of the advantages for a program like this is students are able to participate together, share its success," said Colin deGraff with CIES. "And they are able to celebrate. We see a lot of singing and dancing during the first harvest." The class gets together each September to mark that success with a big feast using vegetables they spent all summer tending to. "We are now, make some food for us. Cut veggie and cooking. I am here, meet many new friend," said Amin Fitouh. The meal is held at the Alex, which is located just down the street from the garden. "Social isolation tends to delay integration," said Suva. 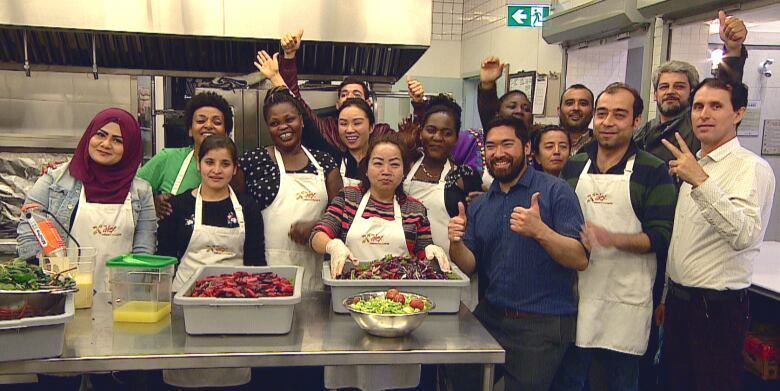 "This type of program gives people sort of like a platform to try to connect with new people and put them on that road to building a new community here in Canada."